Yup…Derek Sivers has done it again! This video is aimed to help the entrepreneur. I never thought of myself as being an entrepreneur, as I always thought the ventures of an entrepreneur must involve taking a financial risk. Derek crushes that misconception for me. Hurrah! I read somewhere else that “Entrepreneur is a term applied to a person who is willing to help launch a new venture or enterprise and accept full responsibility for the outcome“. The important part of this definition for me is the ‘new venture and enterprise’ and the ‘accepting full responsibility’, which also means being free to do it my way! ( where millions of musicians sell their music…mine is on there too CLICK HERE TO HEAR IT!) , and encapsulates the most important questions we need to ask ourselves when starting a new venture. 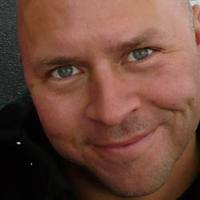 Derek Sivers is an amazingly generous entrepreneur and musician who continues with this video to freely give, like a really good friend. There are no frills, no nonsense – just Derek looking straight into the camera, chatting to me like an old mate. I felt completely engaged. I was captivated throughout. I could have been sitting in a cafe with him. His style is relaxed, friendly, clear and informative. Every time I read anything or hear anything by him, it is like the old eureka light gets switched on again. He has a clear set of key messages which make so much sense. I would take time out to watch this fine piece, which once again Derek has given for free. Talking about people who are definately not pushing the boat up the hill, these 2 make me laugh so much. I posted their version of Rickety Tickety Tin post …this one is funny too! Categories: postaday2011, Song of the Day, Thumbs Up! Hi G, the Siver vid sounds great, but…I just tried to watch it, and you have to go through the whole signup/login hooha. Do you know anywhere else I could access it?